Searching for something new and exciting? 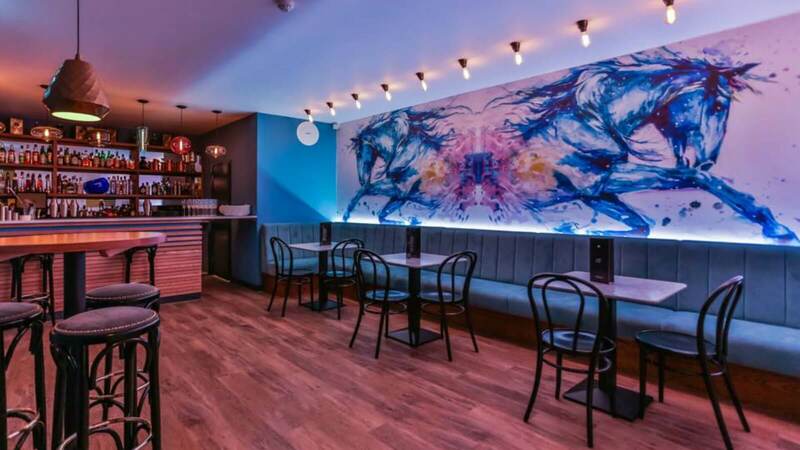 Aquavitae, situated in the heart of Cheltenham, is offering a new spin on dining out. Set in a trendy, relaxed atmosphere, start your evening by enjoying a bespoke cocktail at the bar, expertly created by The Beverage Team – now we’re not talking your standard cocktails, we’re talking a unique Bloody Mary garnished with hickory smoke, and a Martini infused with Earl Grey tea. Perfect for gatherings with friends and family, Aquavitae’s food menu offers small plates that are fantastic for sharing – miniature burger sliders, pork tacos, skewers and topped flatbreads. Their knowledgeable staff are more than happy to make recommendations, and there is a drink to match every flavour on the menu! So order up whatever you fancy, let the conversation and drinks flow, and enjoy a new, more social way of dining.